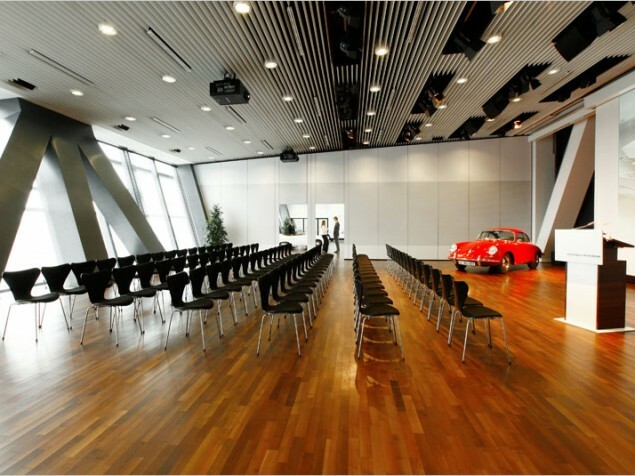 A great modern meeting room with a carefully placed decorative "accent"
If you are not already a fan of this legendary German car, you will be when you visit this museum honoring its history and founder. 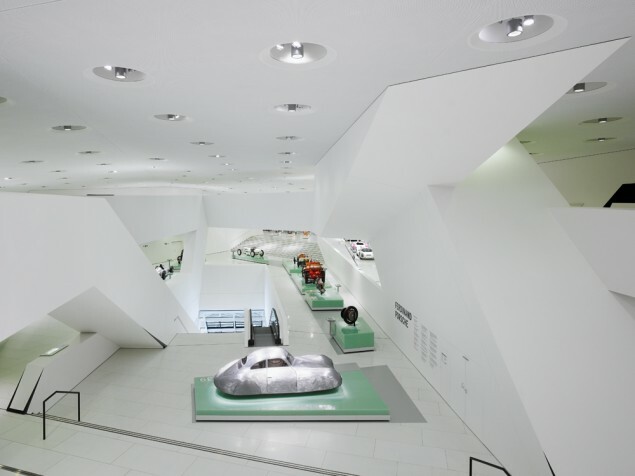 How do you design a museum that appropriately celebrates a world-class automobile? What kind of building can intentionally take the visitor on a journey spanning 10 decades, with a total collection of over 300 cars? What is the right stage for a presentation that does not take attention away from the “honorees” but is equally well designed and engineered? 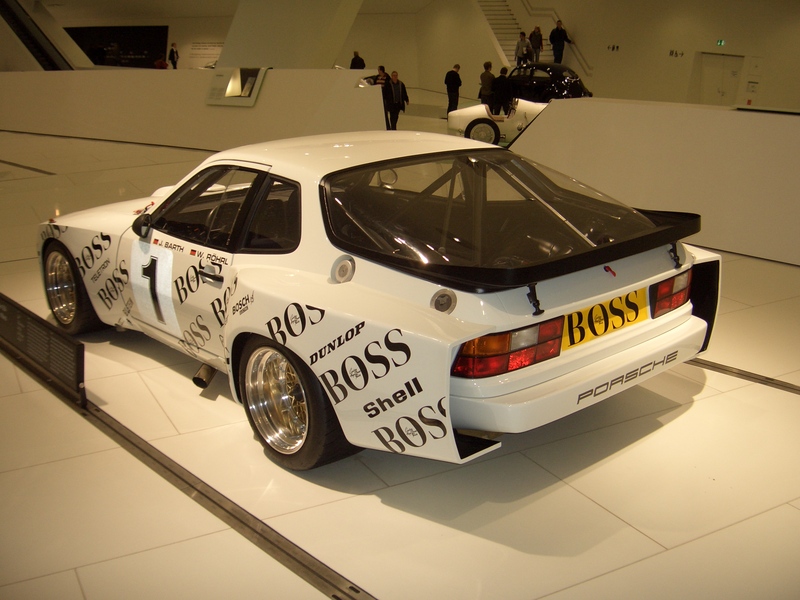 Simple, just ask the directors of this show: Porsche. The recently completed new flagship museum, designed by Delugan Meissl Assocated Architects, is an amazing modern structure, period. 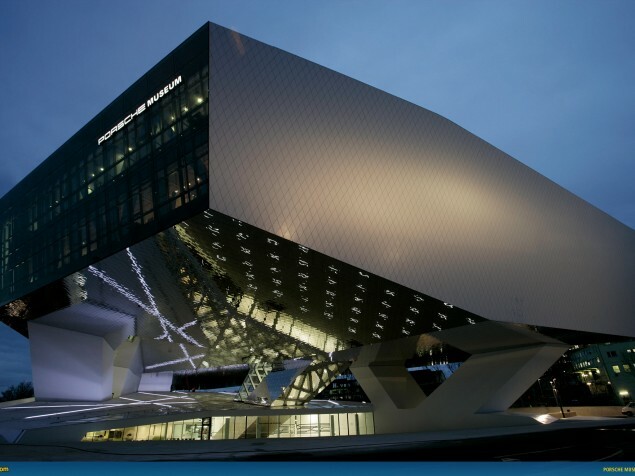 The exterior offers dramatic and distinctly different views from all sides of the building, a design approach proved quite successful by Porsche itself, as we love the car from all angles. Once inside the building, it is light, spacious, and free of color and architectural distraction. 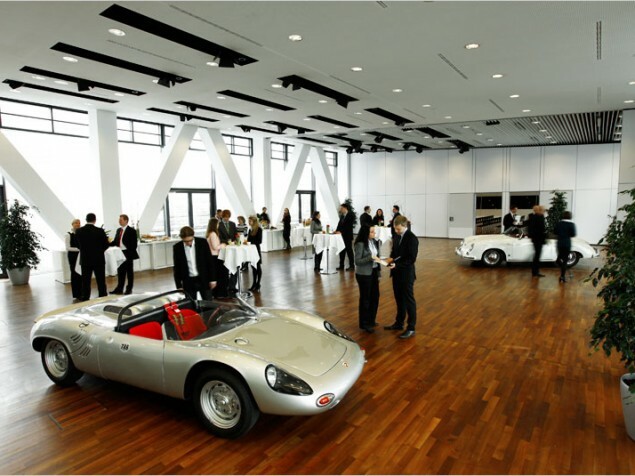 We then embark on a journey through Porsche’s 100 plus year history. 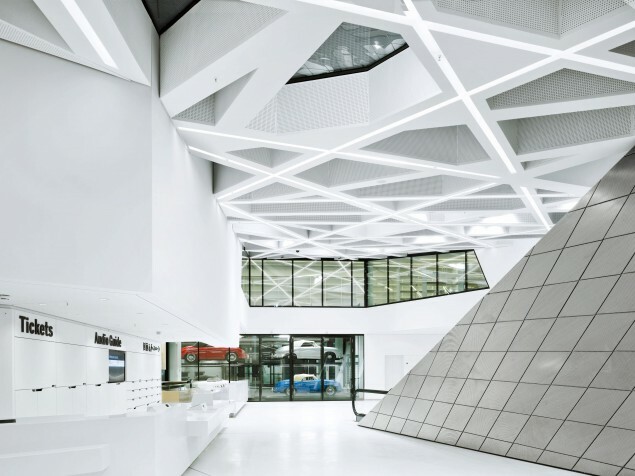 The interior layout and circulation allow the visitor to flow through the spaces, horizontally and vertically, with the emphasis on movement itself. You don’t see everything from any one point in the museum; rather you must take the “road trip” and enjoy what is around the next bend. 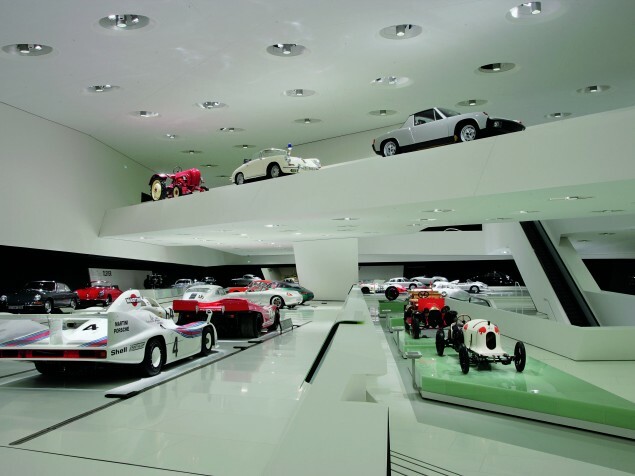 This is a not a destination only for the die-hard fan of the Porsche; it is an exciting museum for all to enjoy, and a rare and definitive example of the relationship between the building as museum and exactly what it is exhibiting. The building presents powerful and enduring images of design, strength and longevity, all of which emulate these same qualities in the Porsche automobile. A great place to spend time, and an even greater place to host a private reception or business meeting.